Mumbai is a concrete jungle. Even the suburbs are not spared. The real estate value has shot out of reach for a common man to own a piece of land in this Metropolitan. Thankfully the suburb were I reside is has still some patches of green and is not over crowded yet… but that doesn’t mean it will remain the same. Slowly buildings are spring up were once there used to be a green patch. 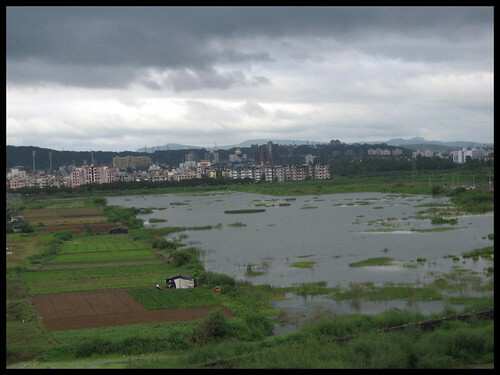 This picture was taken from my friend’s new apartment in Navi Mumbai.